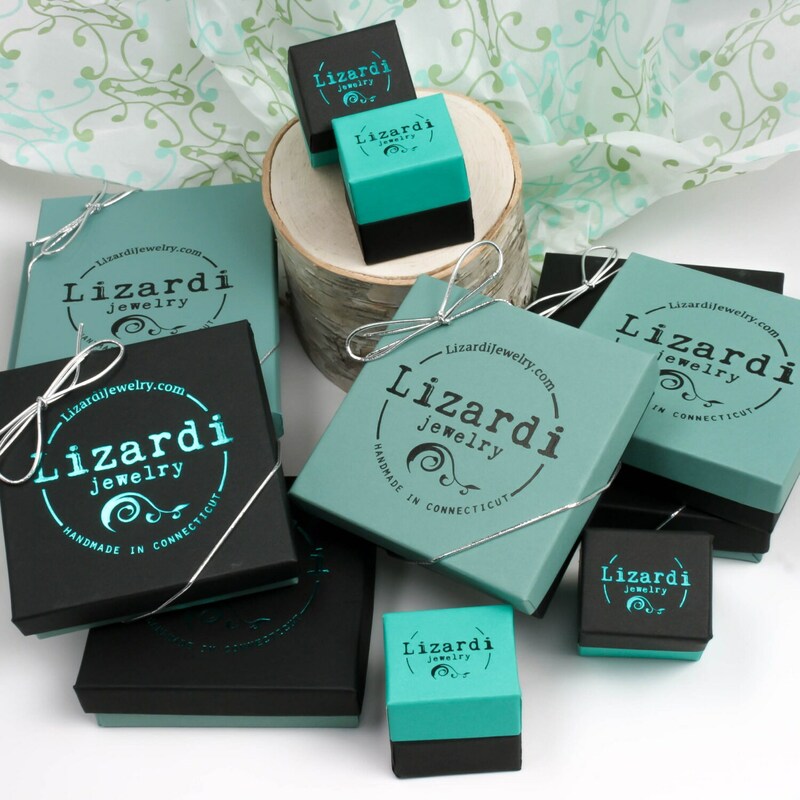 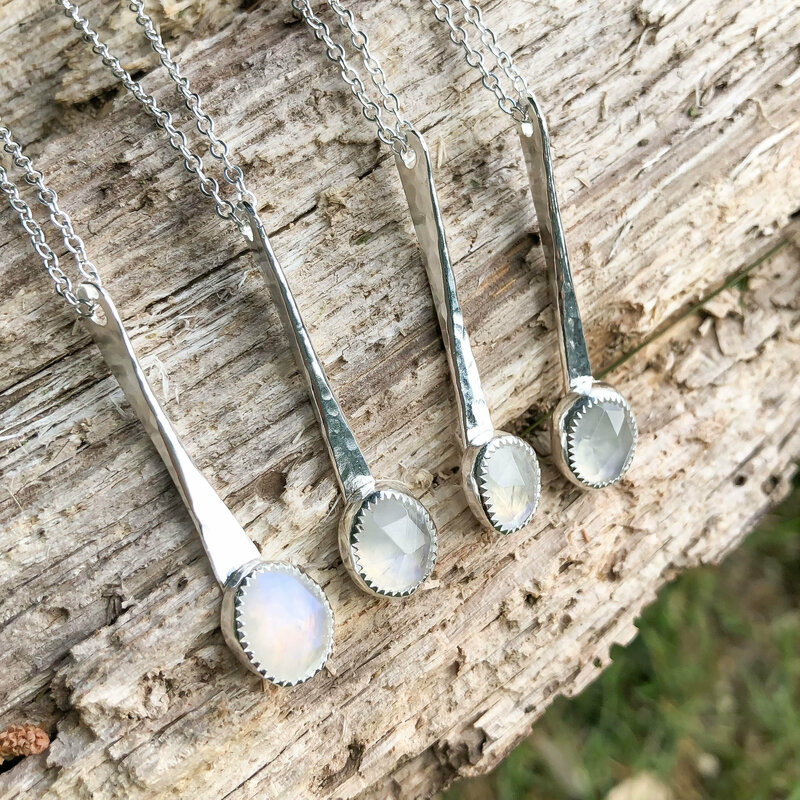 * We use natural gemstones in this designs and each pendant is hand hammered so there will be slight variations, no two necklaces will be exactly alike. 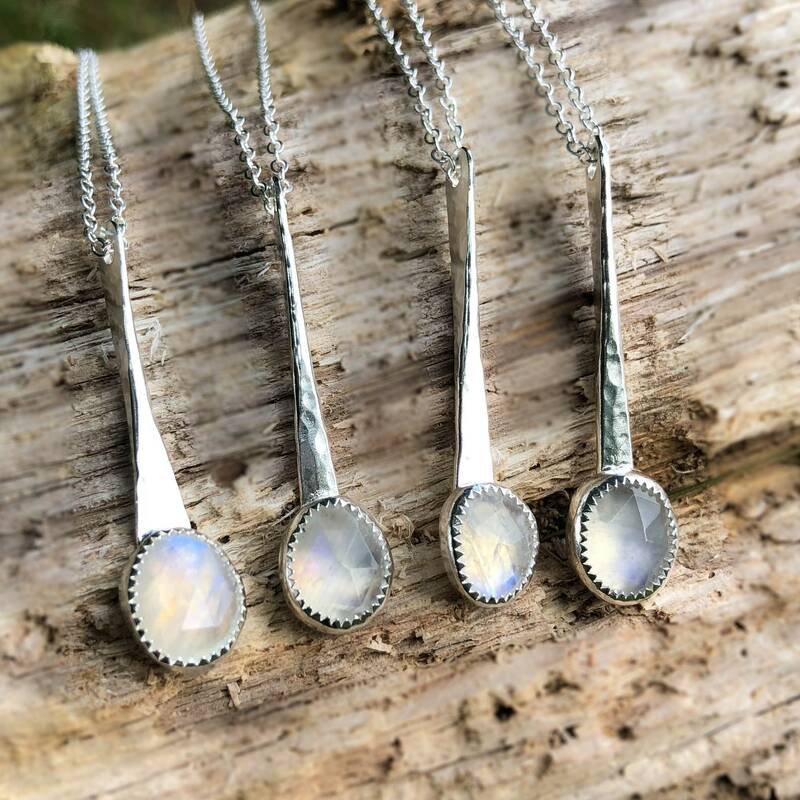 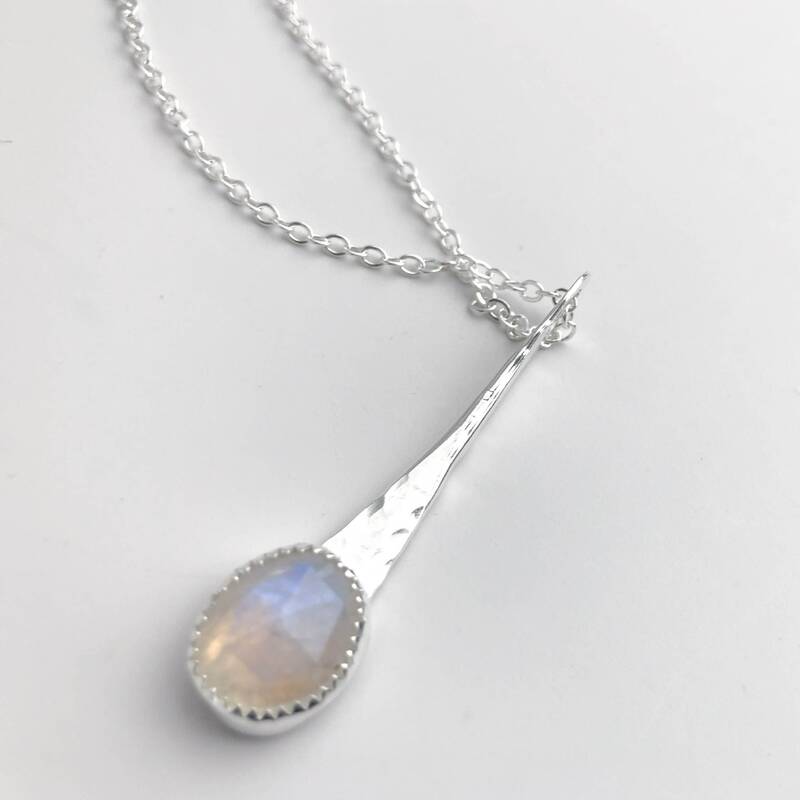 This unique necklace was handmade with gorgeous blue flash rainbow moonstone and solid sterling silver. 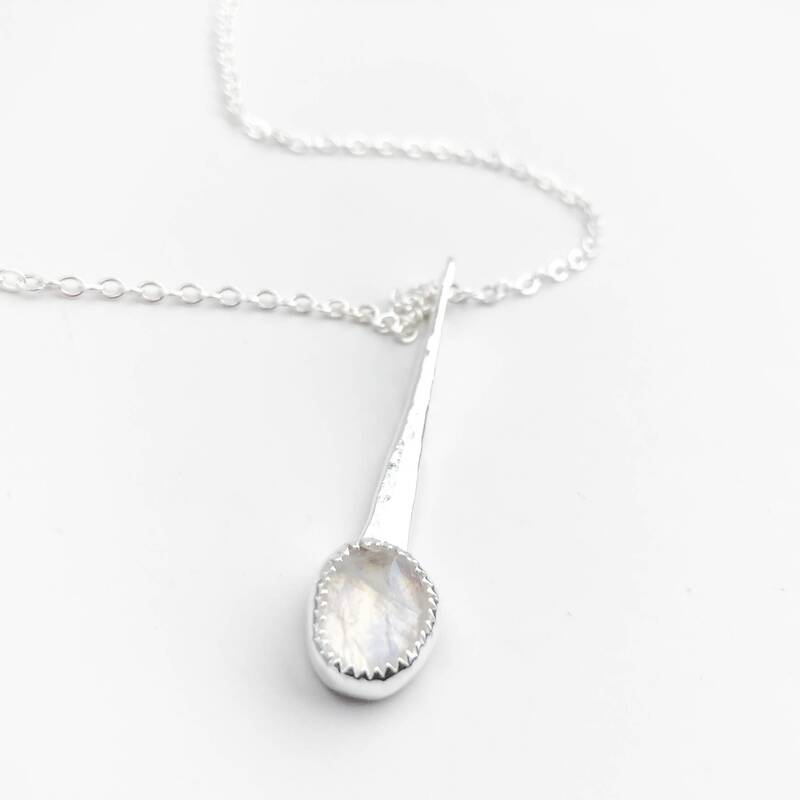 A custom bezel setting was made for the free form stone and it was soldered down onto a heavy hand hammered bar pendant. 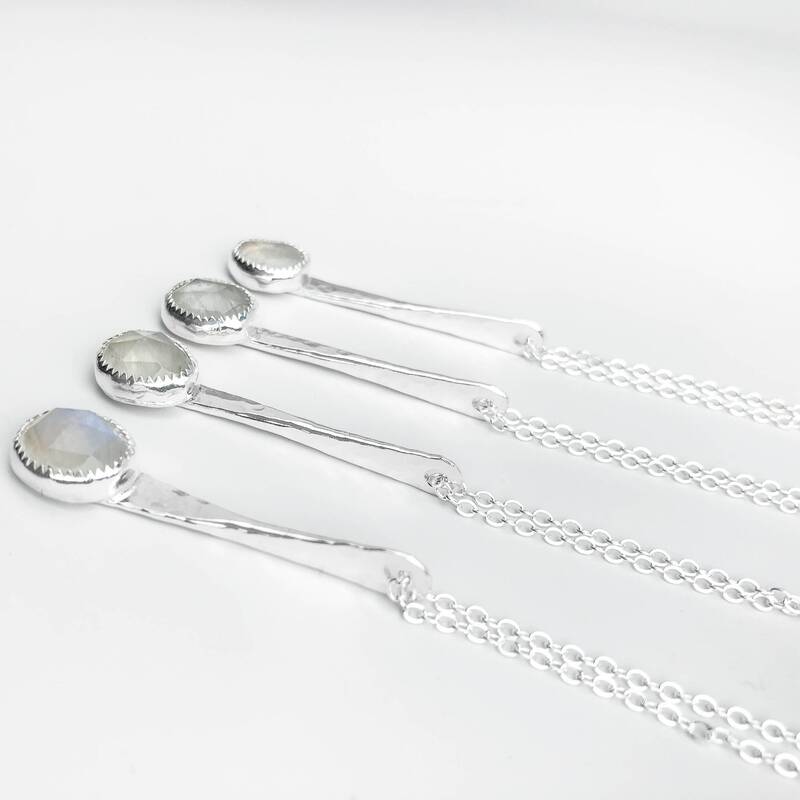 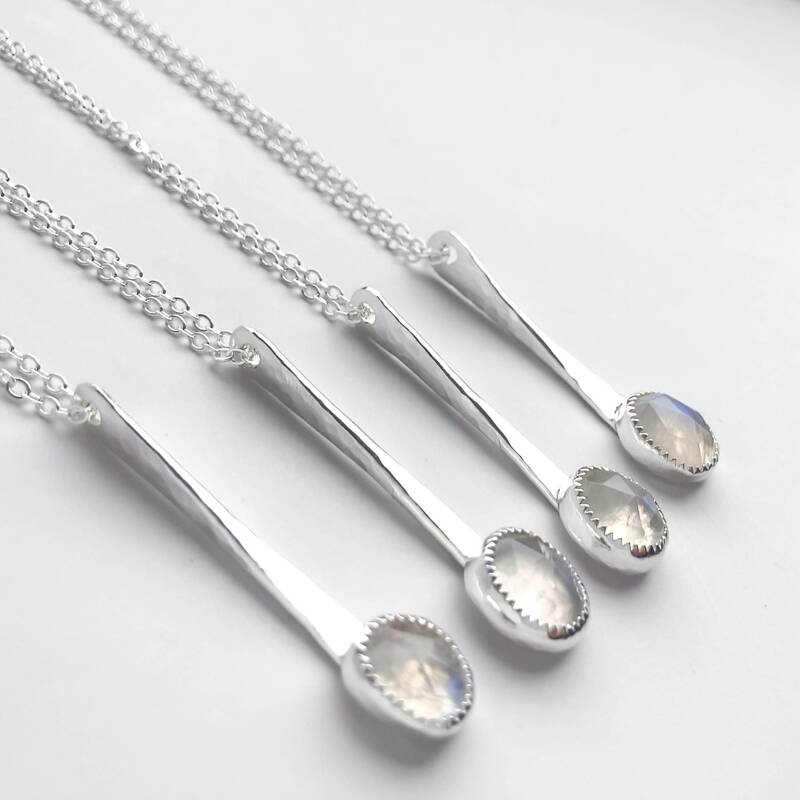 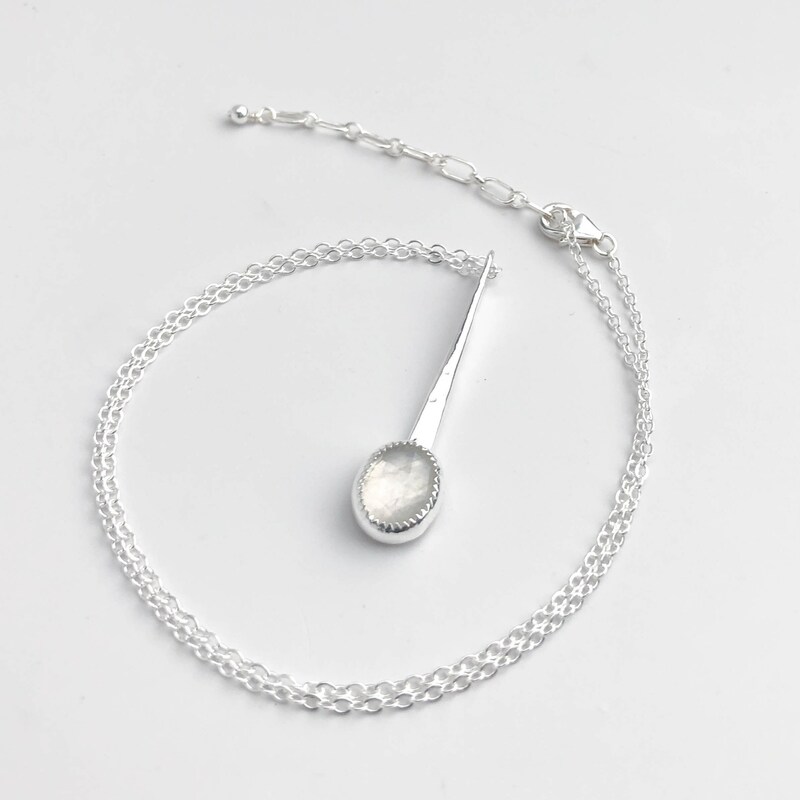 The bar was carefully forged from heavy gauge sterling silver to allow the chain to slide along the top and then be wide enough to hold the gemstone at the bottom. 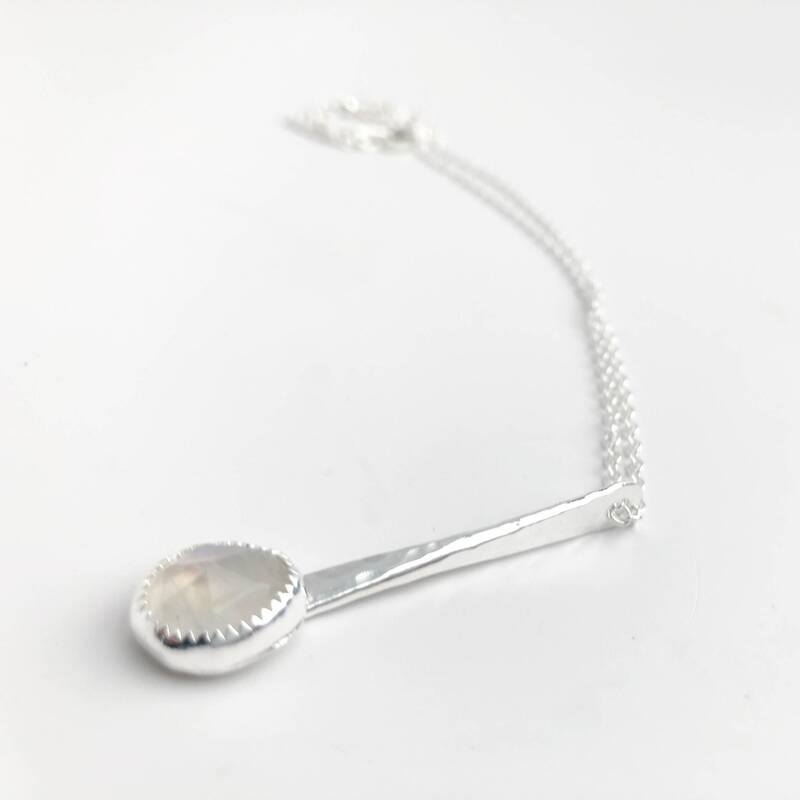 It was hammer textured for dimension and then polished to a high shine to catch the light just right. 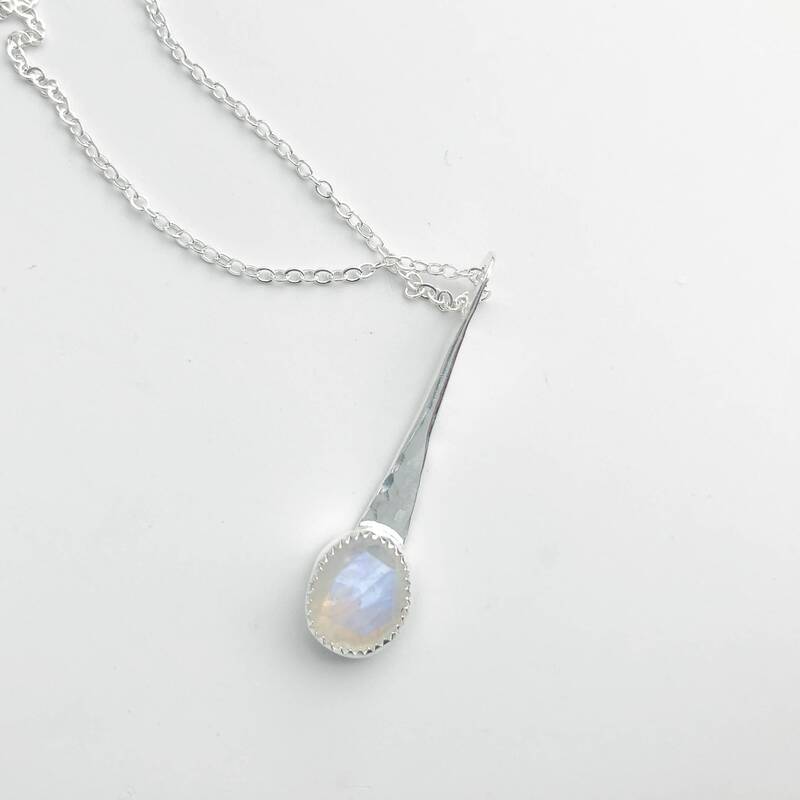 The stones are rose cut which means they are faceted across the top and the beautiful soft blue flash of color is complimented by the subtle sparkle.